Cucumbers are one of my favorite summer vegetables. I love their cool crispness and often snack on wedges on their own or with hummus. 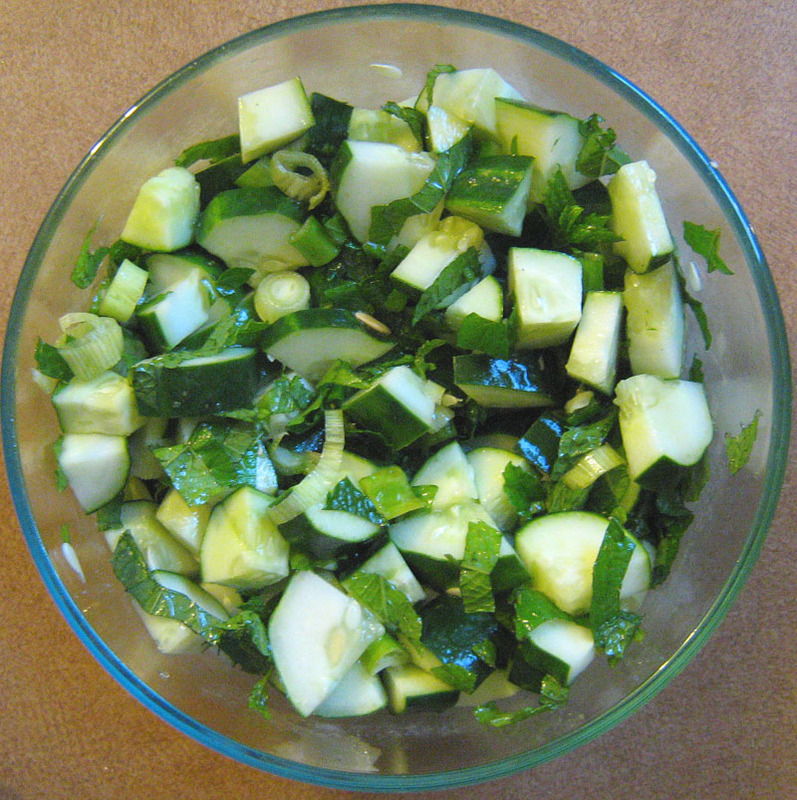 This simple salad is another way to enjoy them and a wonderful way to use both cucumber and mint when your summer garden is bursting with them. Toss all ingredients together, going lightly with the olive oil and vinegar. I tend to use a ration of 2-3 part olive oil to vinegar. Serve sprinkled lightly with caraway seeds, if you like. This is lovely with cottage cheese, on a salad, or as a cooling side dish. I sometimes toss in tomatoes right before serving. Dietary notes: vegan, gluten free, grain free. YUM. I’m still reeling from the deliciousness of these amazing little banana pancakes! They were so delightful – moist on the inside and slightly crisp on the outside – that it’s hard to believe they’re both gluten AND grain free! And because they were so flavorful, already cooked in butter and textured just right, I didn’t have to butter them and used just a fraction of my usual amount of Vermont maple syrup. The inspiration came from Grain-Free Foodies but, as I tend to do, I gave it my own twist. This is a bit of a splurge in terms of fat content, but it’s from good quality sources with a healthy balance of monounsaturated, polyunsaturated and saturated fats (and some of that butter does get left behind in the griddle). Plus, it has a decent amount of protein (19g). The recipe below was just enough for a single serving, but can easily be multiplied. And, did I mention how EASY these were to prepare? I did all the mixing in my 2-c Pyrex glass measuring cup with a fork, then poured the batter from there right onto the griddle. Beat egg and work in peanut butter and banana (I broke it into small pieces first). Stir in flax and vanilla. Melt butter in cast iron skillet. Spoon batter into 4″ circles – these didn’t spread much. These don’t “bubble” like baking powder pancakes, so you’ll need to watch them for doneness. Plate them up, drizzle with real maple syrup & serve! Made five 4-inch pancakes (just right for one). 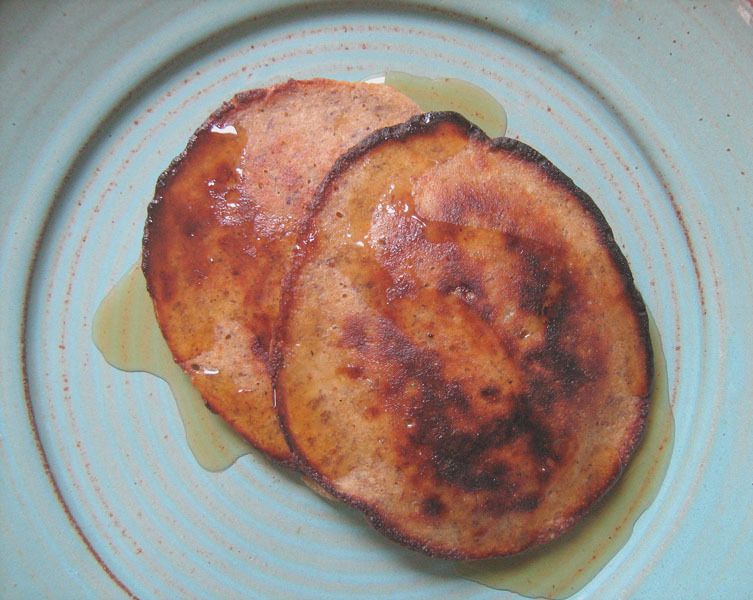 Sweet potato pancakes: substitute 1 medium mashed sweet potato for the banana. 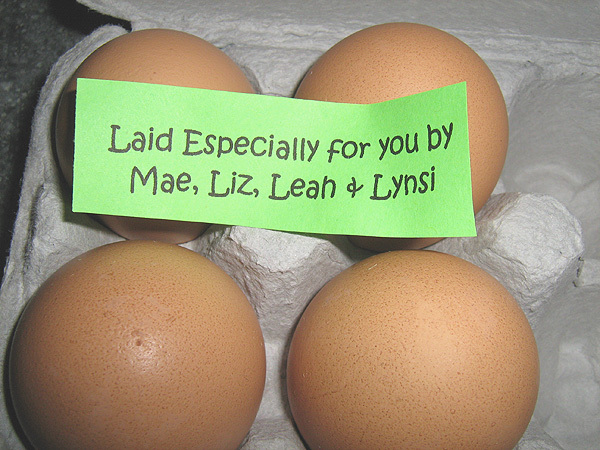 You can increase eggs to two if the batter seems too dry. The fritatta: delicious, nutritious egg-cellence! Saute your veggies in some olive oil (starting with the onions) til soft, sprinkle on your fresh herbs and cheese, then top with your beaten eggs seasoned with salt and pepper. Cook on low heat until top is fairly firm, loosen around the edges, then give it a minute or two under the broiler to brown the top. Slice into wedges and serve. That’s it! And the beauty of this delightfully easy healthful dish is that in can be made for about $2 per serving with healthy real foods. What’s not to love? Enter your email address to subscribe to Five Minute Foodie and receive notifications of new posts by email.